Here is your Virgo Horoscope for September 2018. Every month, you will find at WeMystic the astrological forecasts for your zodiac sign. The New Moon of September 9 will come under the influence of Virgo, so it will be the perfect opportunity to reinvent yourself, both personally and professionally. On the other hand, the end of the retrogrades of Saturn and Pluto in the V House of Virgo (on September 05 and 29, respectively) will allow you to observe the romantic perspectives with new eyes, and not as something superficial or out of context. The passage of the Chiron retrograde by the VII and VIII House of Virgo during September will show lessons that were ignored in 2017 and during the first quarter of 2018, associated with the dynamics of the couple and the development of trust within the relationship. The positive streak continues for the natives of Virgo in their finance, motivated by the passage of Ceres, Mercury, and the Sun by the II House of the sign (on 06, 21 and 22 September, respectively). Ceres in the II House of Virgo will emphasize the need to increase revenues in order to meet proposed goals from the strategies designed by the asteroid Palas in the sign of the Virgin, as of 04/09. For its part, Mercury in this location (II House of Virgo) is an invitation not to stay with what you have now and look for new ways to monetize your different talents. For example, if you are an accountant, but you love to carve wooden figures, you can study the possibility of marketing your creations, or teach others in short courses. Finally, the presence of the Sun in the II House announces an economic bonanza, either through lucrative associations, new commercial projects, salary increases, promotions or profits associated with investments. However, do not forget that Chiron remains retrograde in the VIII House of Virgo (until 24/09), so there are conflicting situations of a financial nature, involving a partner, partner or family. The basis of the problem lies in the trust you give to third parties (You are fostering relationships of dependence and attrition if you believe that you are the only one who must face responsibilities or take charge). It comes the time to talk about responsibilities, healthy limits and the need to openly recognize the value of contributions from third parties (You do not have to do everything alone). The entry of Mars in the VI House of Virgo (10/09) will accelerate things in the workplace. The Virginians will want to stand out in a leadership position and be positively observed by his peers. The fact that Palas is in Virgo (since 04/09) will result in greater assertiveness when resolving conflicts (internal and external), and in optimizing the organization of the environment. Regarding professional projection, the entry of Eros into the X House of Virgo (16/06) will present the opportunity to “captivate” your supervisors or potential employers, if you show your ideas and enthusiasm (Venus in the III House of the sign, as of 09/09, also affects this). Note that Juno will also enter the X House of Virgo on September 29, which warns that if you want to succeed, you must commit to the chosen path and the proposals that you defend. For Virgo students, September can be projected as a period of great difficulty (retrograde Uranus in the IX House), where the difference between what you think and what actually happens will become more palpable. This situation will be a valuable motivation to put aside control patterns, help you live in the present, and banish old prejudices about people and ideologies. 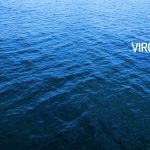 On September 10, Mars will reenter the VI House of Virgo after completing its retrograde process. Now in direct phase, the warrior planet will provide Virginians with the extra energy they need to face the ups and downs of the season. The re-entry of Mars in the VI House of Virgo will also invite you to resume those processes that you left in the air, and are related to strategic changes in the way you take care of yourself and manage your time. In simple sentences, we talk about how you prioritize your priorities. Are you giving yourself the place you deserve? Or, on the contrary, do you put people and situations first that serve you as a means of distraction? Mars in the VI House will reveal these tendencies and the underlying discomfort that you try to hide, but it is also a transit that can impel you to abuse your body and over-do physical and mental efforts (Pay attention before the start of new exercise routines or extreme working conditions). The trend in the psychological plane will be reinforced by the passage of Mercury in Virgo from 05 to 20 September. The planet of communication will intensify the over-analysis of situations; something that is a natural characteristic of the sons and daughters of Virgo. It is important to bear in mind that it is not wrong to reflect on the options that are presented to you. The problem comes when you make the evaluation process an element to postpone actions and decisions, which you must take anyway. Sometimes, we can hide our fear of failure and other factors behind this type of dilatory technique. If you find it difficult to take the initial step, try to find the middle point, or start with small (more accessible) goals, which allow you to gain confidence, before going for the jackpot. The entry of Palas in Virgo, on September 4, will be the incentive you need to start drawing a strategic plan that really brings you closer to your goals.